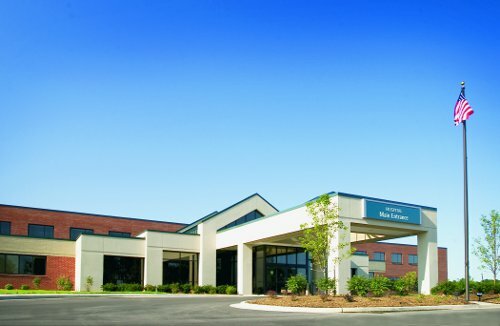 For nearly 100 years, Noble County residents have relied on Parkview Noble Hospital to care for its families, friends and neighbors. At Parkview Noble Hospital, we credit much of our innovation and progress to our generous donors, many of whom have been our patients. The Parkview Noble Foundation exists to support and enhance the services of provided by the hospital to the community. Every gift that is donated through the foundation supports excellent care for every patient, every day. The Community Education Fund has provided hands-only CPR classes. The Medication Assistance Program provides short-term access to emergency medications for patients unable to pay. Gifts to the Special Touch Fund provide car seats, transportation assistance for patients through Noble Transit, and many other non-medical needs that arise during a hospital stay. Donations to the Parkview Noble Hospice Fund support massage and music therapy for patients. Gifts to the Parkview Noble Therapy Fund have provided pediatric equipment to better serve Noble County children.